I've decided I will make a technique journal this year and have started with the water colour powders. 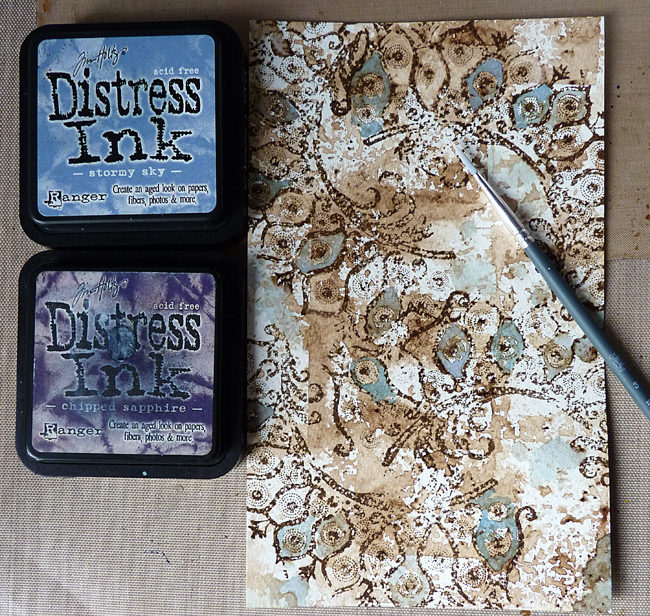 Experimenting a bit further with the water colour powders I began with the brown bister sprinkled over the water colour paper and then spritzed an old stamp with water and pressed it onto it, repeating lots of times until I had it fully covered the paper. 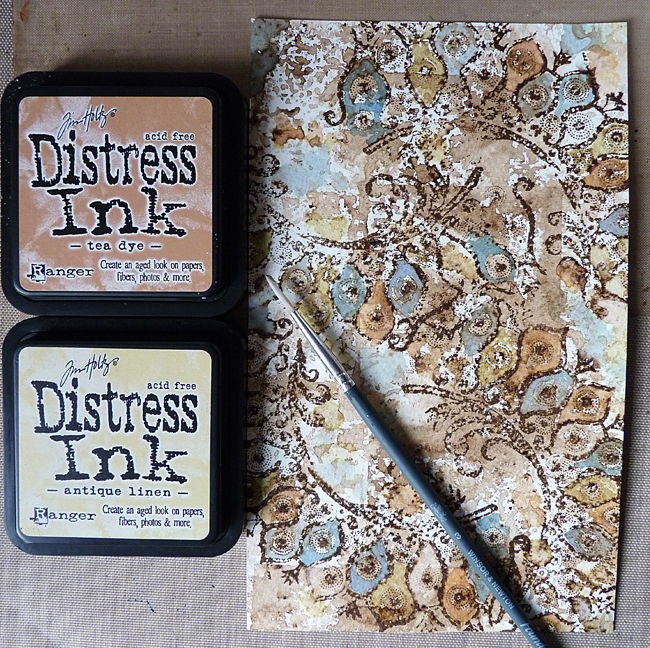 I then stamped an old Tim stamp with ground espresso distress ink over the top. Taking a fine brush, some water on my craft mat and chipped sapphire and stormy sky distress inks I began painting in some of the designs and finger splattered some blue onto the background. I love the browns and blues merging together in some areas. 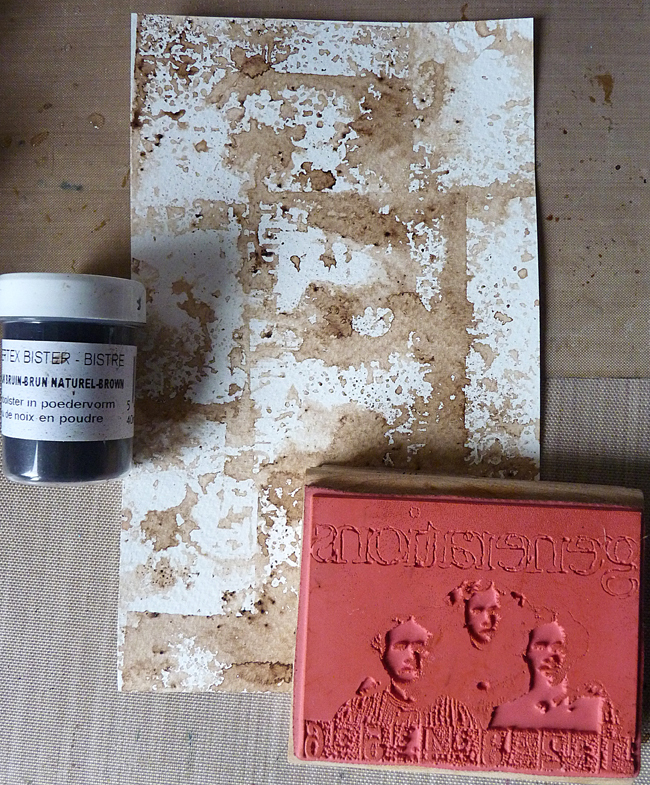 I repeated the process with antique linen and tea dye. As this is a journal I thought I would keep it simple and add one of Tim's small quotes. And hey presto the first page is done. I can see me using this technique for my Packhouse cards. It will be interesting to watch what designs will sell. At the moment I am gathering up Mother's Day style bits and pieces and making some shabby cards to do a changeover tomorrow - just trying to keep to the themes of the year. 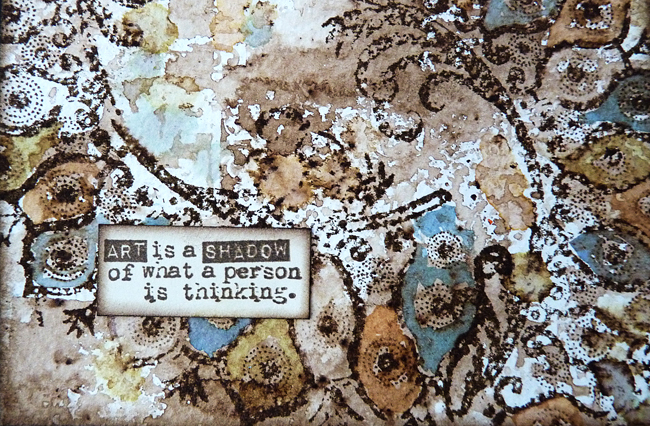 I had forgotten how much I love shabby card making - I can see some appearing on here soon. Wow, this is amazing. You're so talented. Just love your fantastic work. Fantastic Brenda! That looks sooo good! This caught my eye in my reader Brenda and it's absolutely beautiful. Love the grungy style and those colours too. Also love your stunning cover project on the new Craft Stamper so many congratulations on making the cover again. I'm hoping to visit more once my eyes are both sorted out and so sorry to have not done so for ages. Its a beautiful cover for your book, wonderful water colour paint techniques. Fantastic journal page, Brenda! I always love the pairing of browns and blues together. Amazing! Thank you for sharing this. I keep meaning to start a journal. Thats as far as it gets. Ooooh, I do love this, Brenda! The perfect combination of color in my opinion. I love your stamping into the powders technique and I'm going to give that a try with my 2 colors. The blues almost look opaque, at first glance I thought you must have use the Oxides. Gorgeous make here! Hugs! 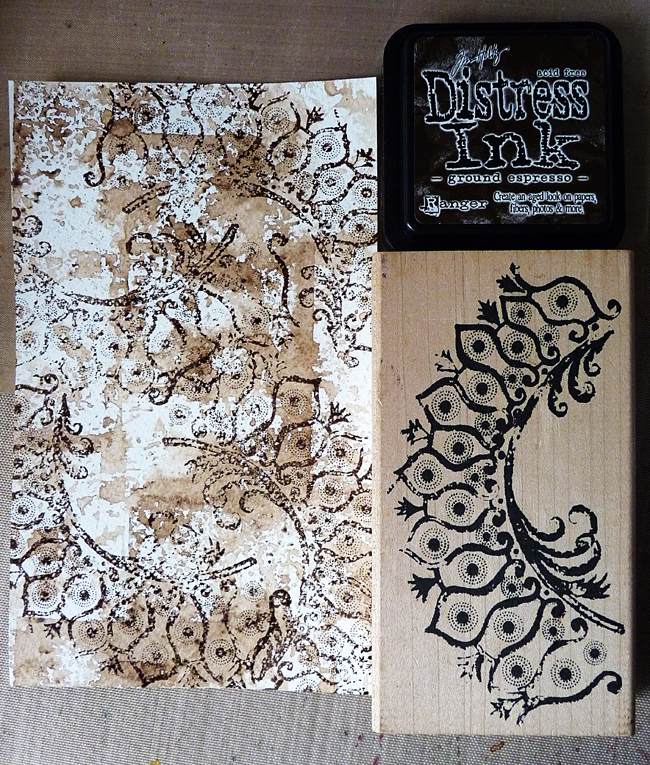 Love the effect of the repeat stamping into the Bistre - very cool. This will be an incredible reference journal. Beautiful Brenda! 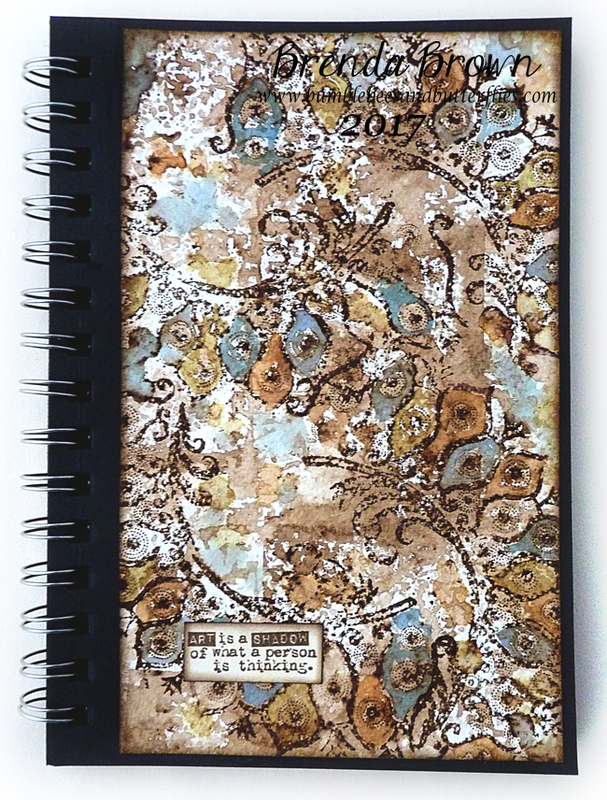 I love the idea of this journal and might have to do one myself! 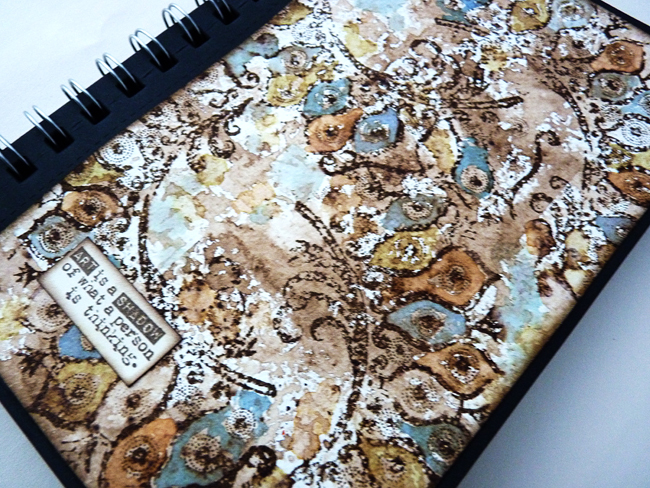 May I ask what type of paper journal it is?